Which Muster Calls A Particular Aggie’s Name? Denton County's Muster in 2013. More than 1,600 names appear on the worldwide Muster Roll Call each year. No individual Muster can call all the names, so each location uses a different list. 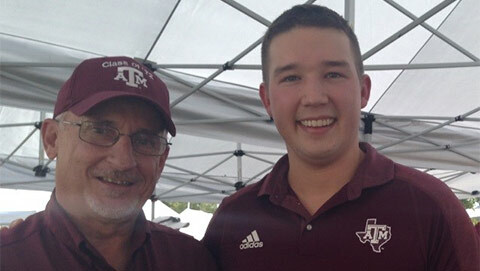 If you plan to answer “Here” for an Aggie at a Muster this year, here is how to make certain their name is listed and you are at the right place. Please help out any family and friends who need this knowledge this year. Where will their name be called? You can ask for a name to be added to the local Muster you are attending (see below). 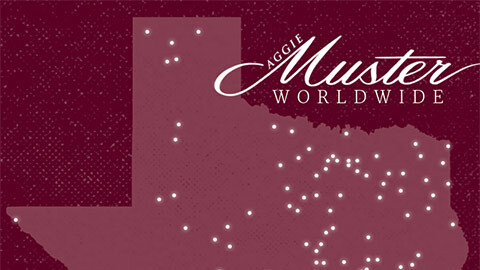 Also, each Aggie’s name will be provided to the Muster closest to their last address in the former student database (AggieNetwork.com/directory). This is the "Club" listed beside the Aggie's name on the Roll Call. Is every Aggie’s name called at the main campus Muster? Unfortunately not. There are more than 1,600 names on the list each year, and there would not be time to read each aloud and respond “Here” at any individual Muster ceremony. A list of all names is displayed at the main campus Muster. The names called aloud at the campus Muster in Reed Arena are primarily those of current students, Aggie relatives of current students, Aggie faculty/staff, and the 50 Year Reunion Class. The criteria include other categories and sometimes are changed from year to year; please be sure to see the student Muster Committee's exact wording at tx.ag/criteria. 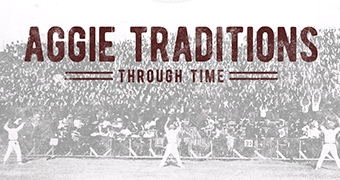 If your Aggie is eligible, check here to see if they are already on the list to be read in Reed Arena. If their name is not there, please contact the student Muster Committee by using the form here or calling (979) 862-1191 to request that the name be added. The names called at the Brazos County Muster, usually held in the MSC, are primarily those of Aggies who lived in Brazos County. This Muster is organized by the Brazos County A&M Club. Is every Aggie's name called aloud somewhere? Yes. The Association will call every name that appears on the Worldwide Roll Call on April 21 at the Clayton W. Williams, Jr. Alumni Center and respond to each with "Here." Also, if The Association has been notified of an Aggie's passing (above) and has a complete address for them, their name will be on a list made available to the nearest Muster, although the local Musters do not always call the names of every Aggie on such lists; many call only the names specified by those who are attending the Muster in person. Can I answer “Here” for them at the local Muster I am planning to attend? Yes. 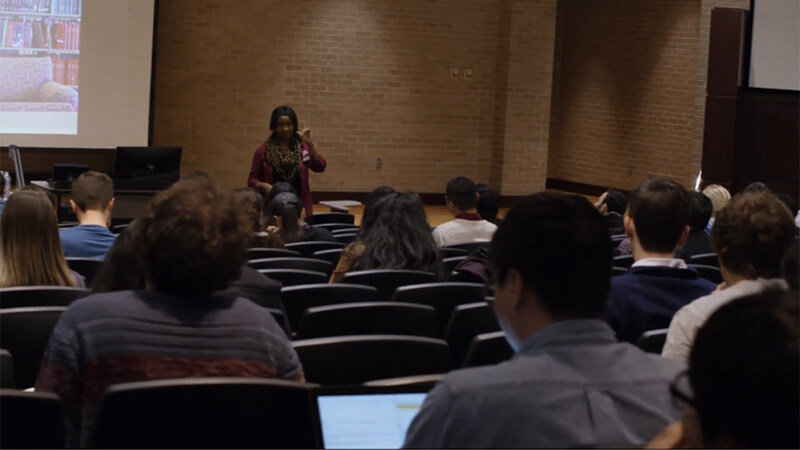 If you’re attending one of the more than 300 Musters organized worldwide by A&M Clubs and individual Aggies, please contact the chair of that Muster and ask to have your Aggie friend or relative added to their Roll Call. You will want to let the Muster chair know that you’ll be attending in person to answer “Here.” You may be asked if you wish to hold a candle. Each local Muster is different; some include a meal, whether it's a dinner, casual picnic or family-style potluck. How do I find the Muster closest to me, or to where I will be on April 21? At tx.ag/FindAMuster, you can view all the reported Musters on a map or search the list (scroll down and type in a city or state). Each listing has contact information, location and details. February or March is a good time to check this page, as local Muster chairs add their events gradually. For example, if you check in January and see only a few Musters plotted, you could check back in March and learn that several have been planned closer to your location.